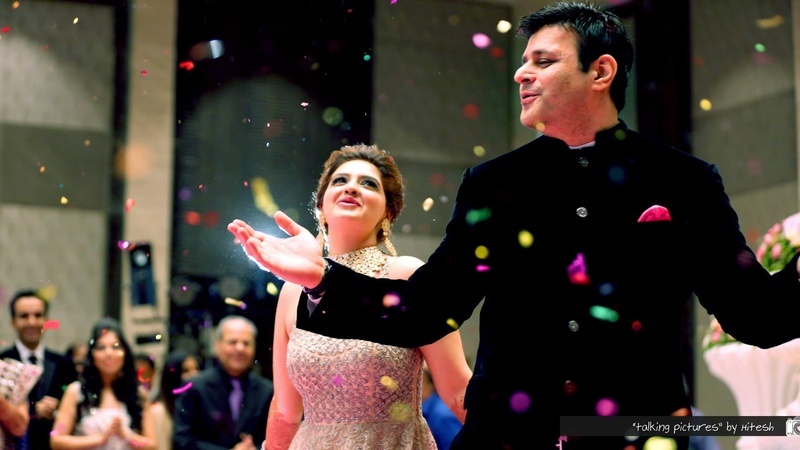 We live in a time where marriages are celebratory events romanticized by couples everywhere for their potential to bring together creativity and tradition in an ideal package. 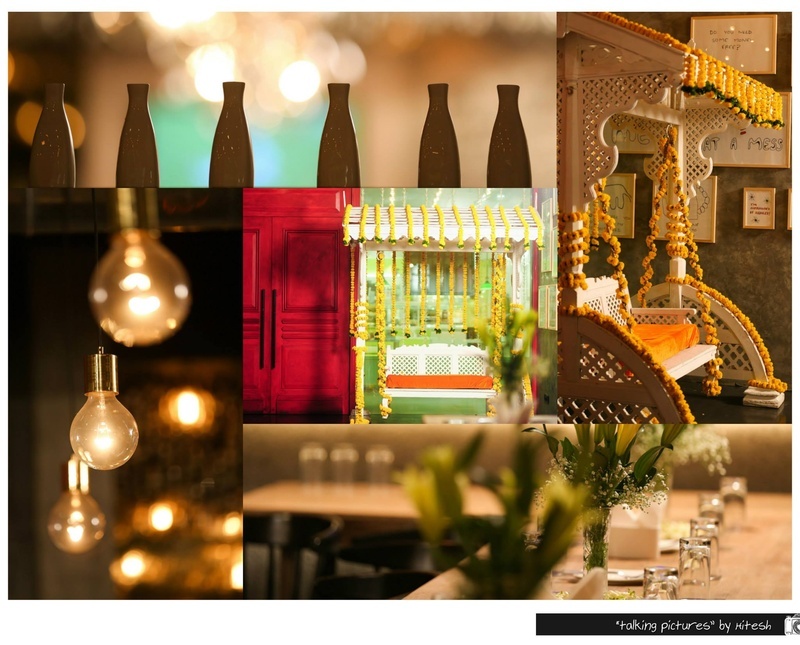 It gives you the opportunity to mix together age-old rituals and modern practices, which spell out perfect wedding celebrations for the world to see. 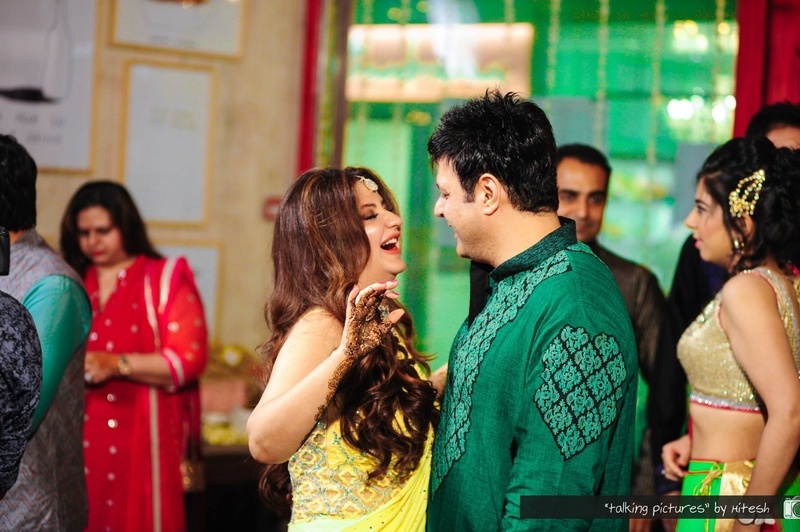 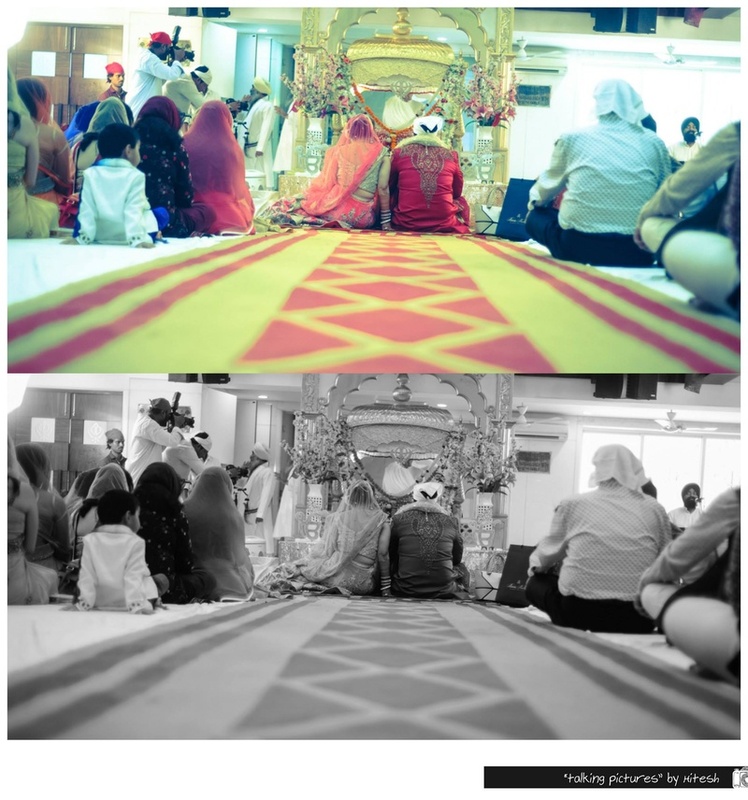 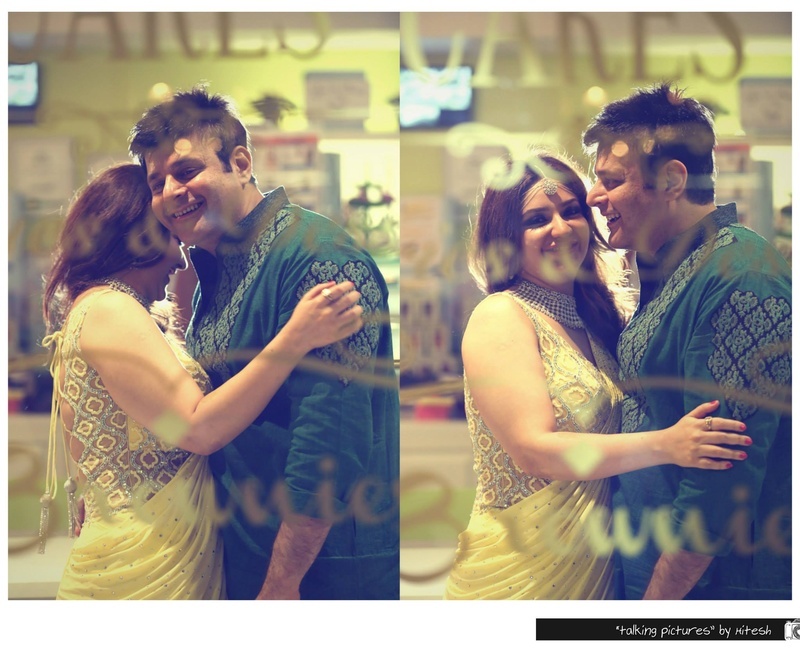 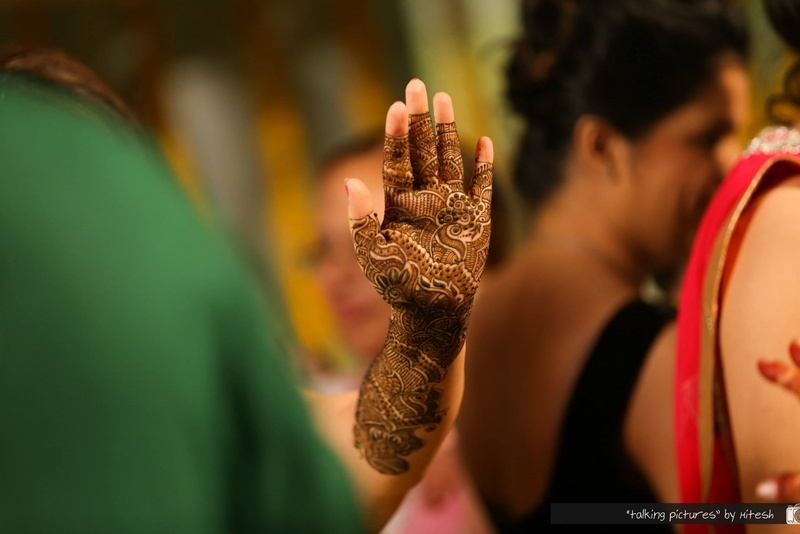 Jharana and Umesh’s Punjabi wedding ceremony was just that! 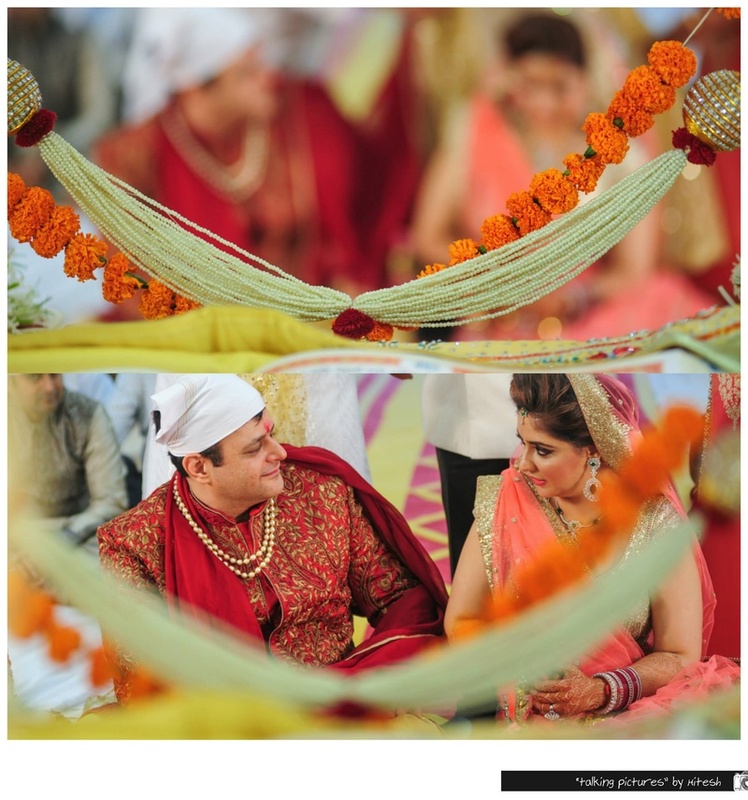 A quintessential blend of tradition and style, screaming love in all its elements. 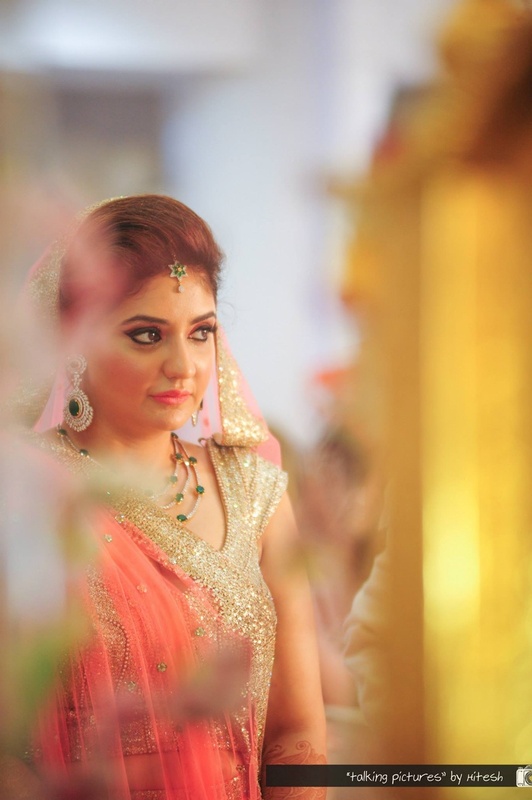 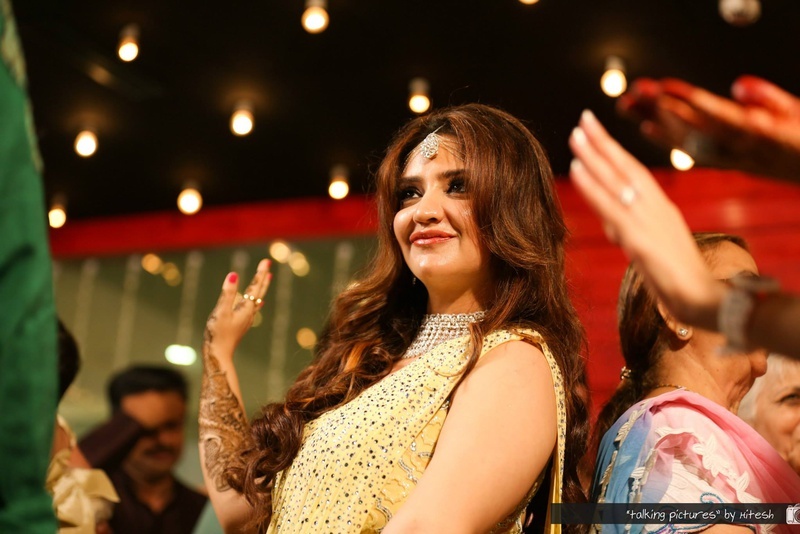 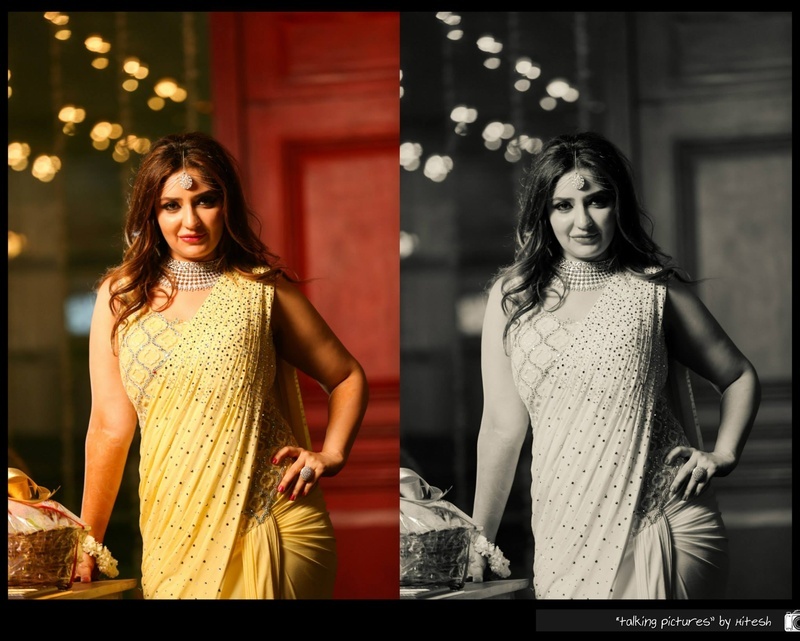 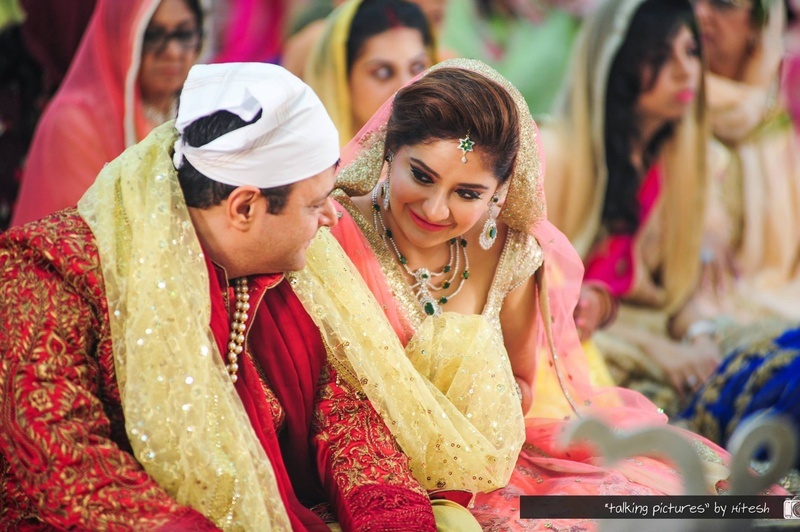 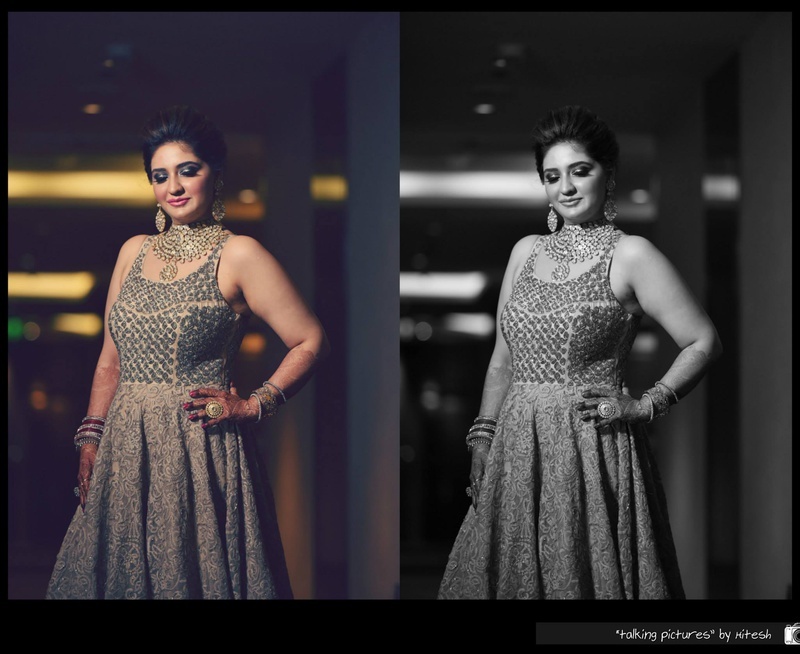 For every event at this traditional Punjabi wedding celebration, Jharna opted to wear a combination of light colors and pastels paired with bold diamond jewellery and we absolutely loved it! 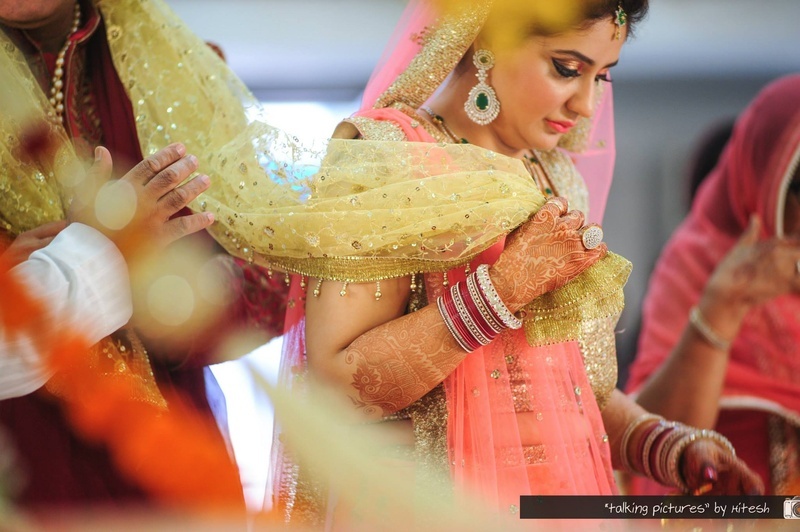 From the Swarovski scattered butter yellow saree at her mehendi, to her coral pink and shimmery gold wedding lehenga, this beautiful bride got it so right with her choice of colors and accessories. 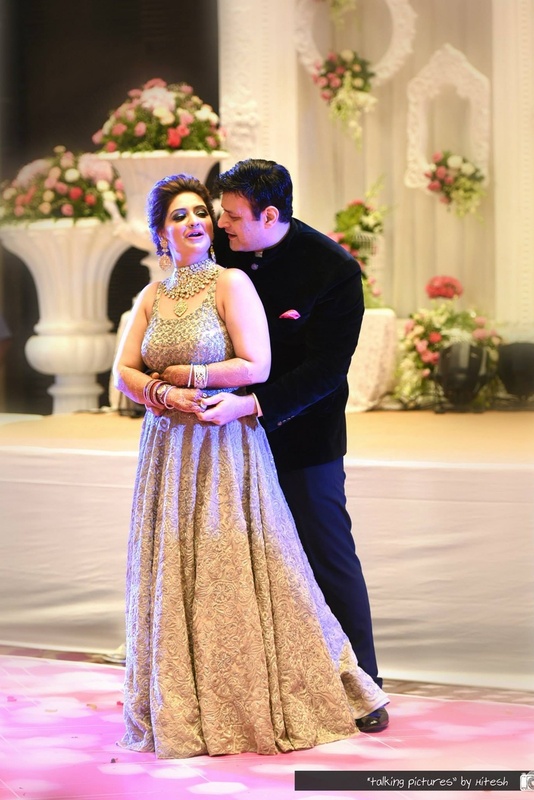 Umesh, the handsome groom was not too far behind on the fashion front in his maroon sherwani that was intricately embroidered with beige threadwork all over. 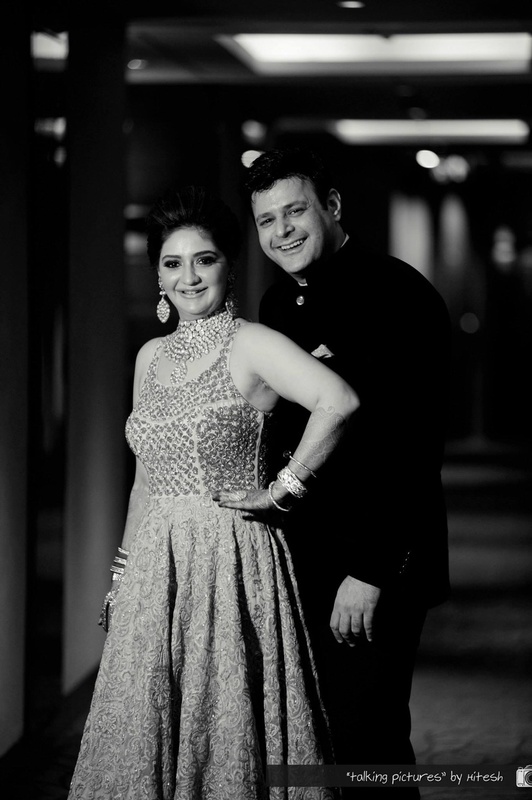 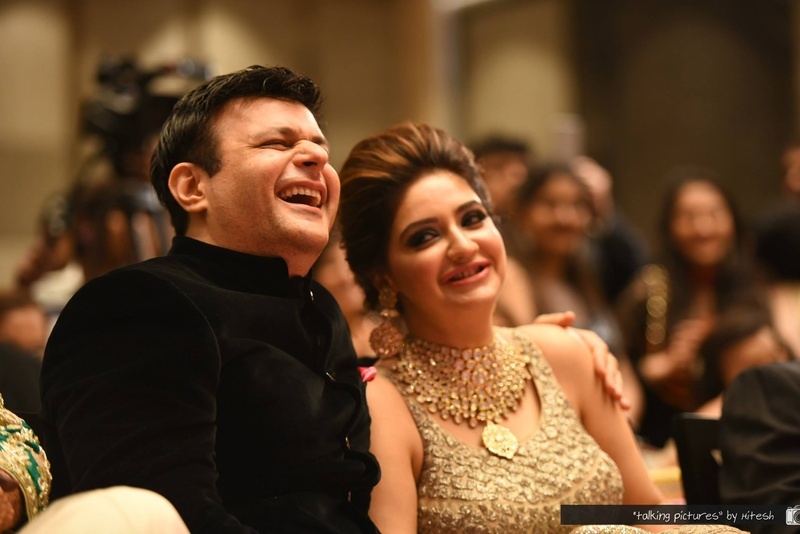 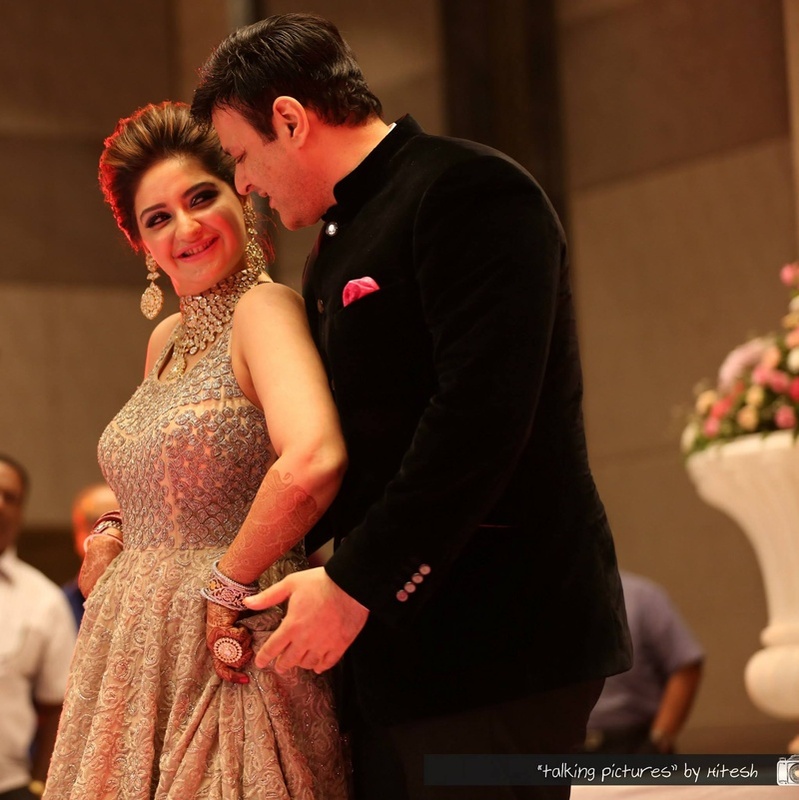 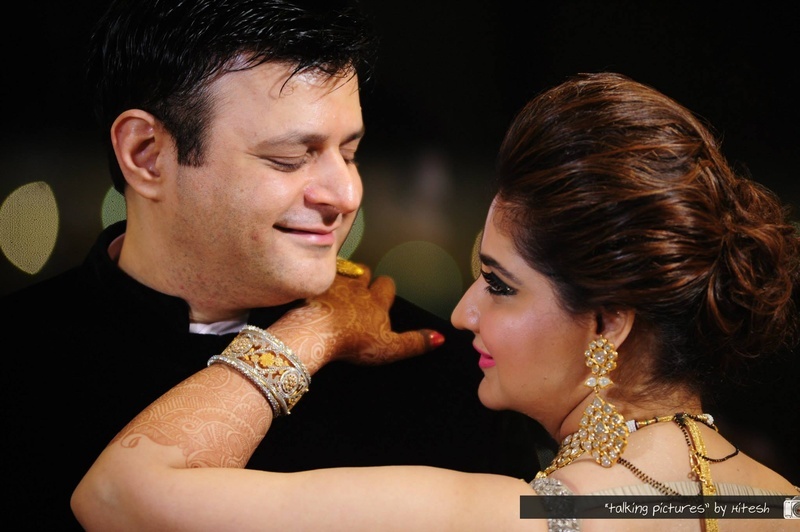 But what truly left us spellbound was this stunning couple’s reception attire – Jharna rocked a low-back tan gown with a regal multistrand polki choker that had a pear-patterned drop. 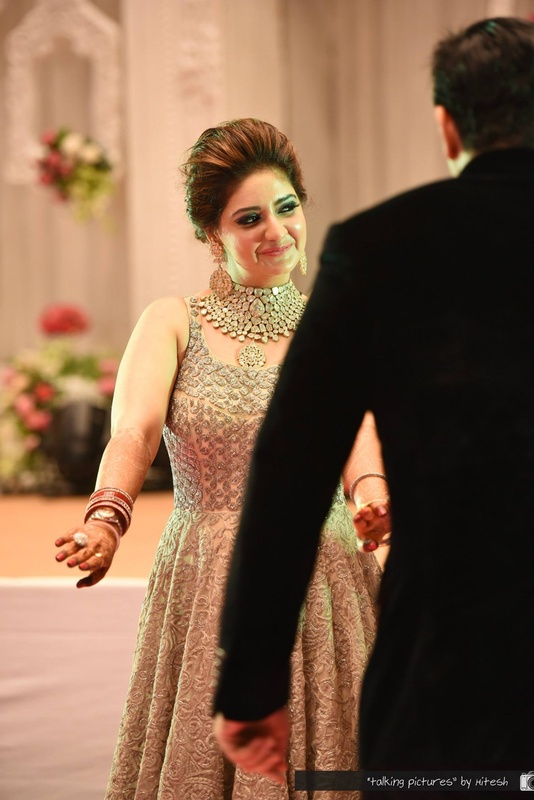 Her sparkly cocktail ring added just the right touch of class to her entire ensemble. 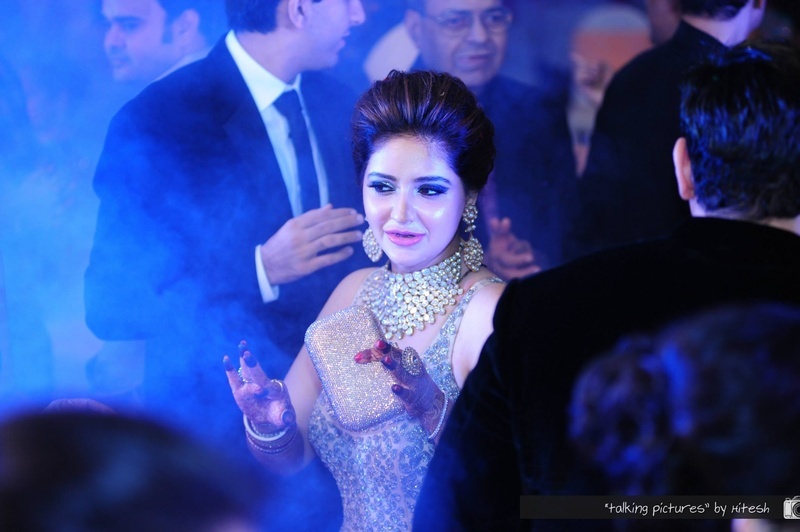 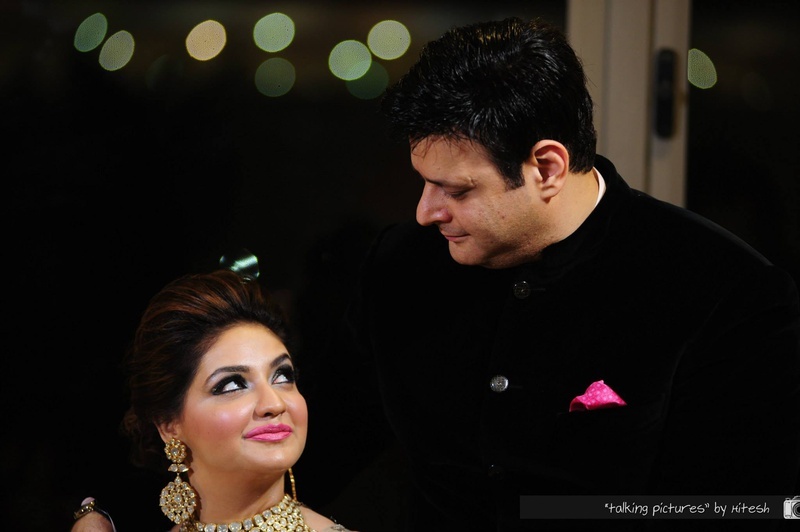 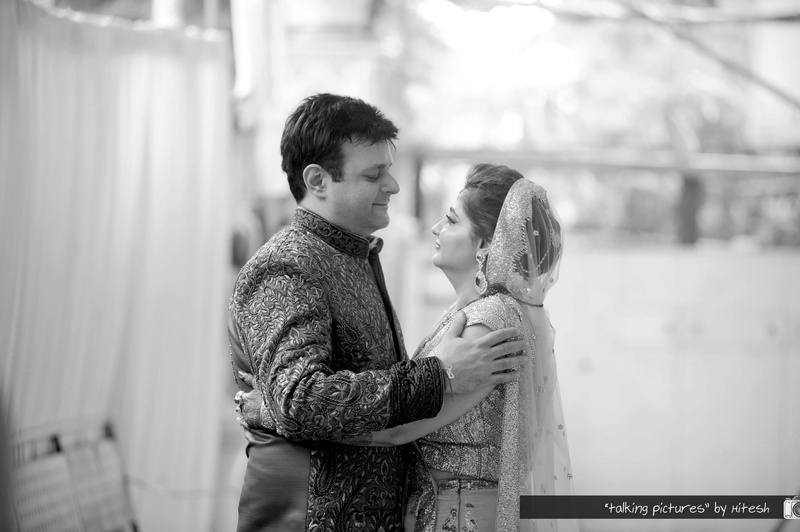 Umesh, her handsome groom, complimented her perfectly in his black Jodhpuri velvet suit. 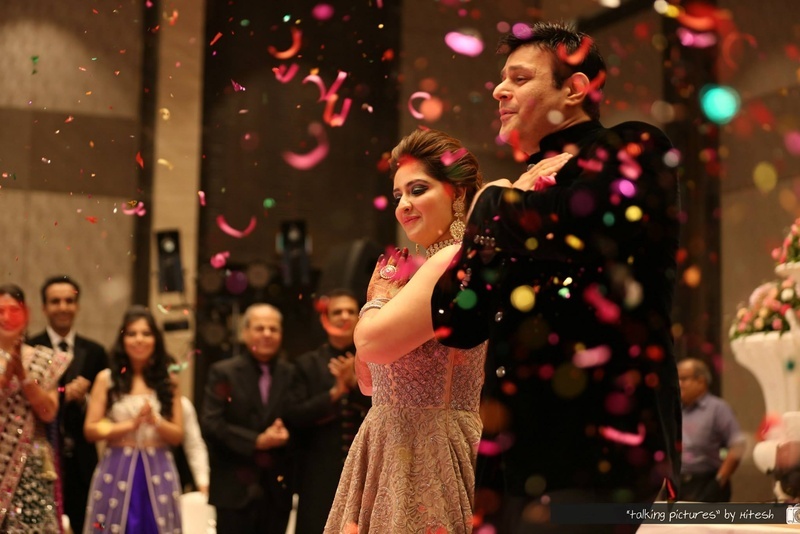 Together, this beautiful couple danced and raised a toast with friends, family and loved ones as they embarked on this new journey with each other. 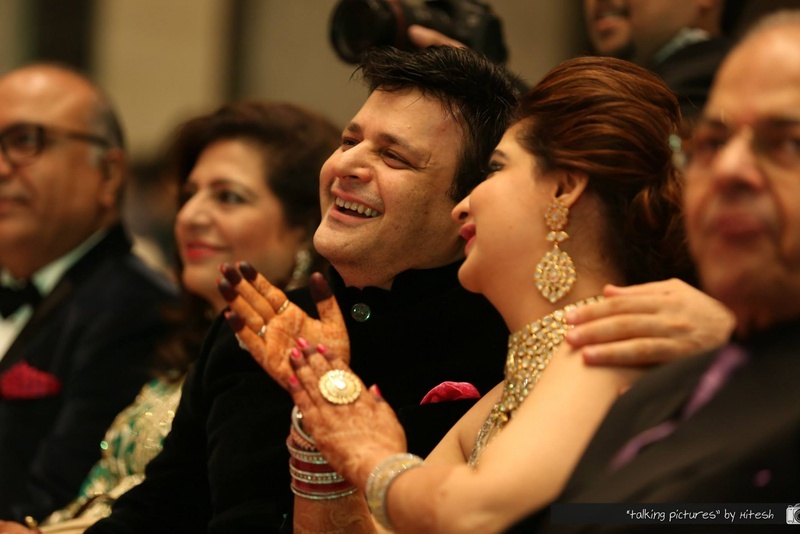 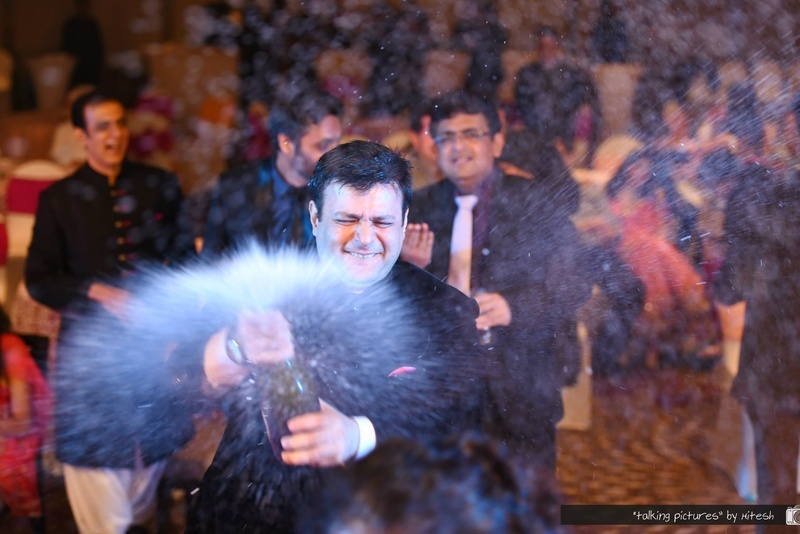 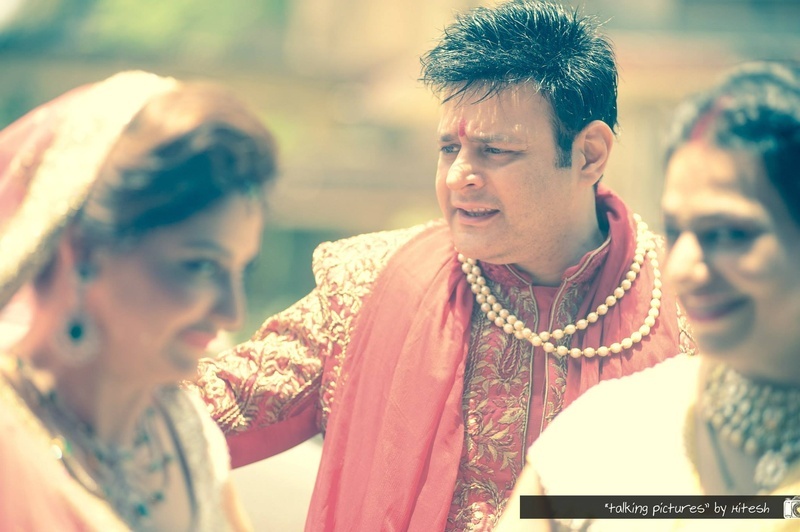 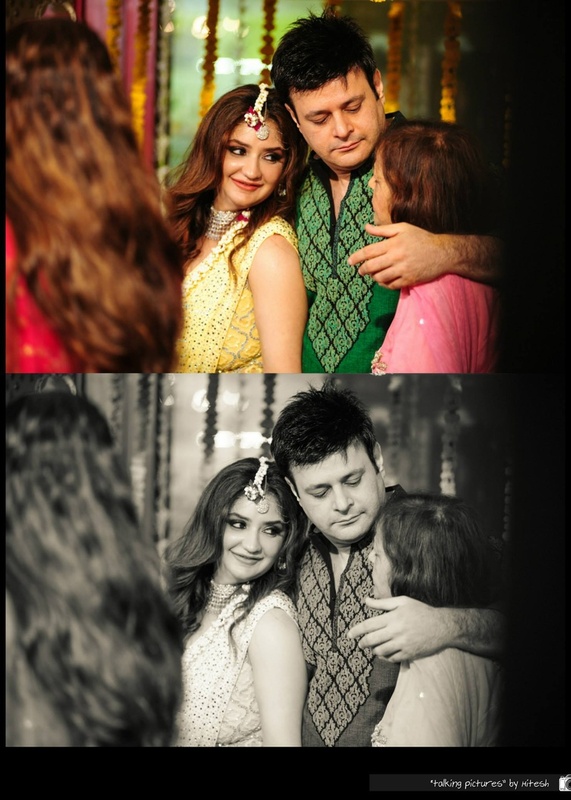 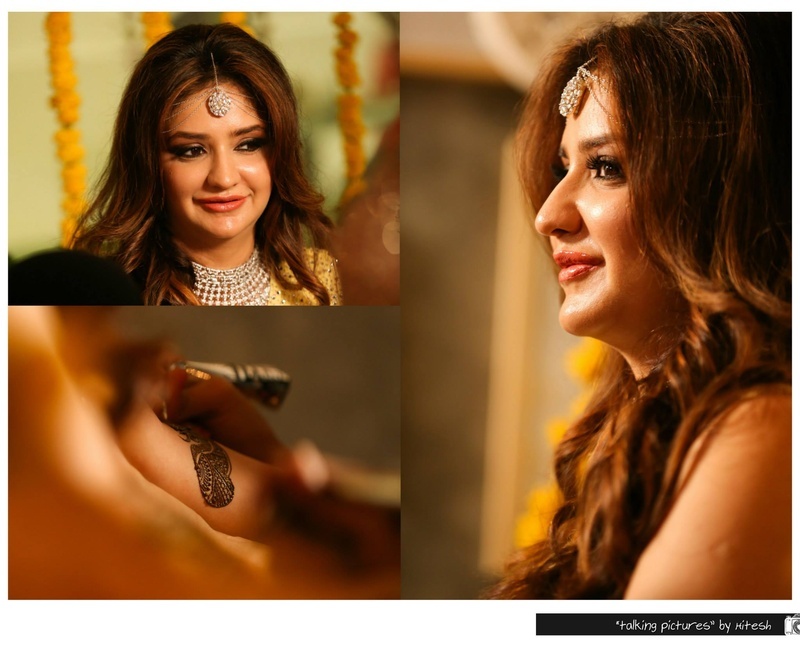 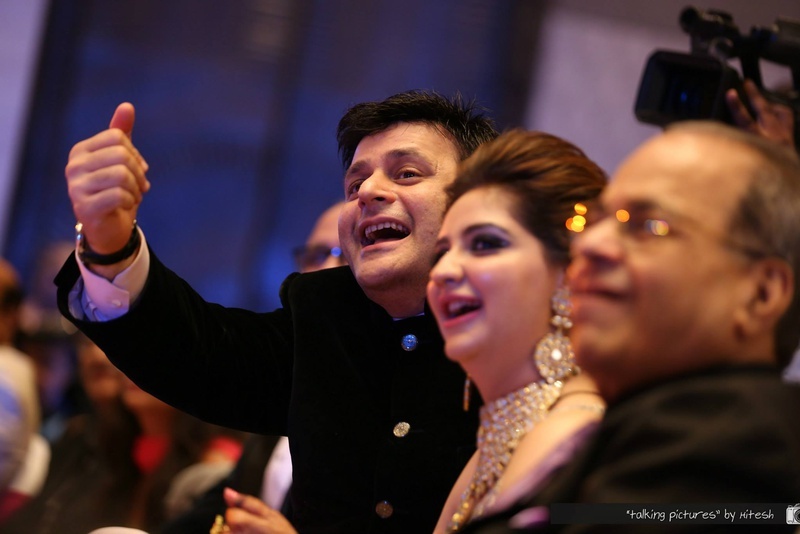 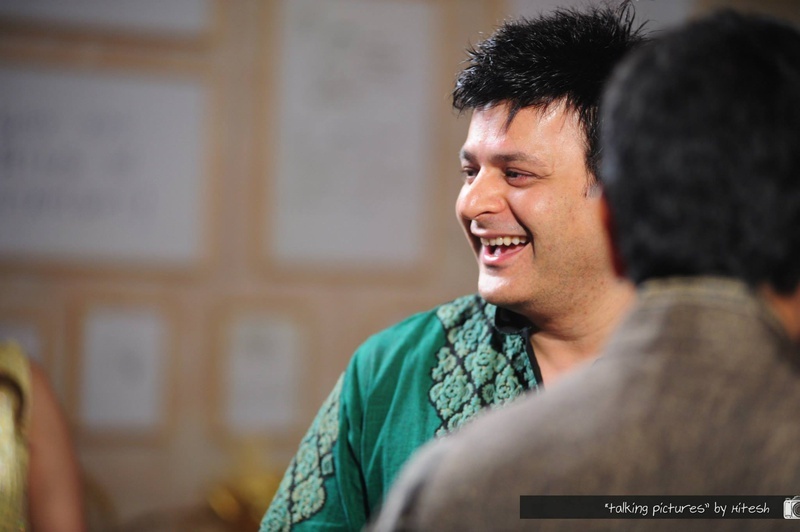 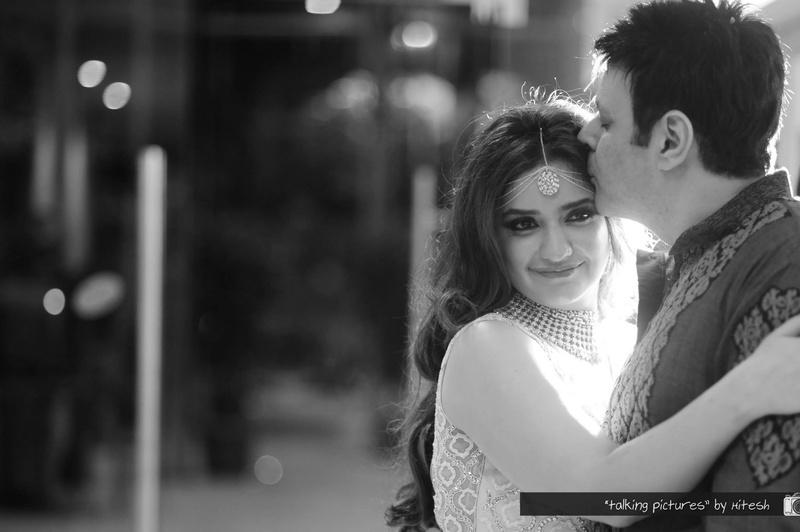 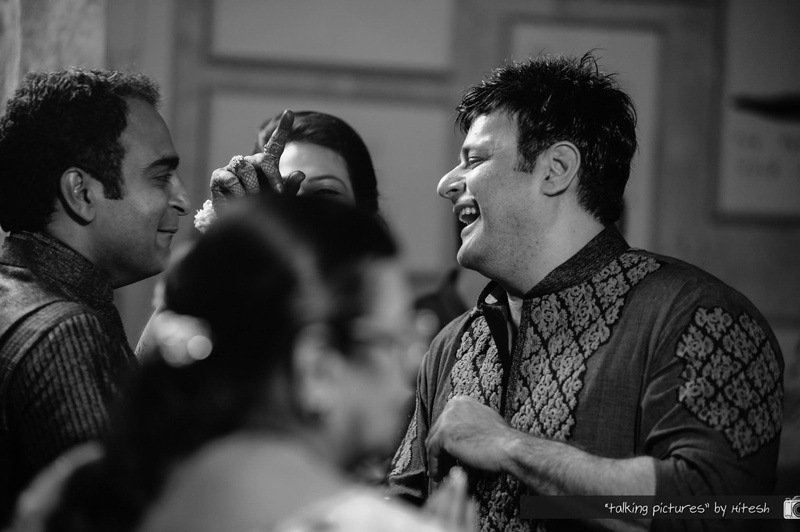 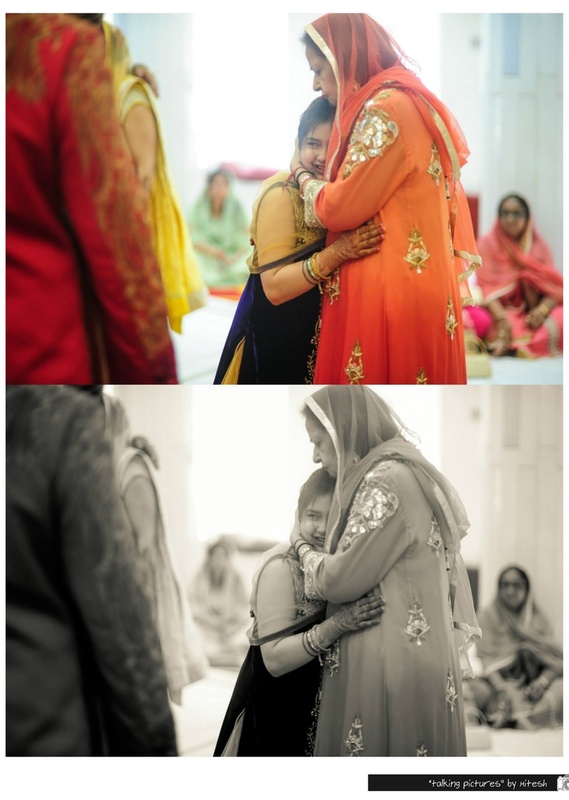 Talking Pictures by Hitesh stood true to its name as every picture in this wedding album has a story to tell for itself. 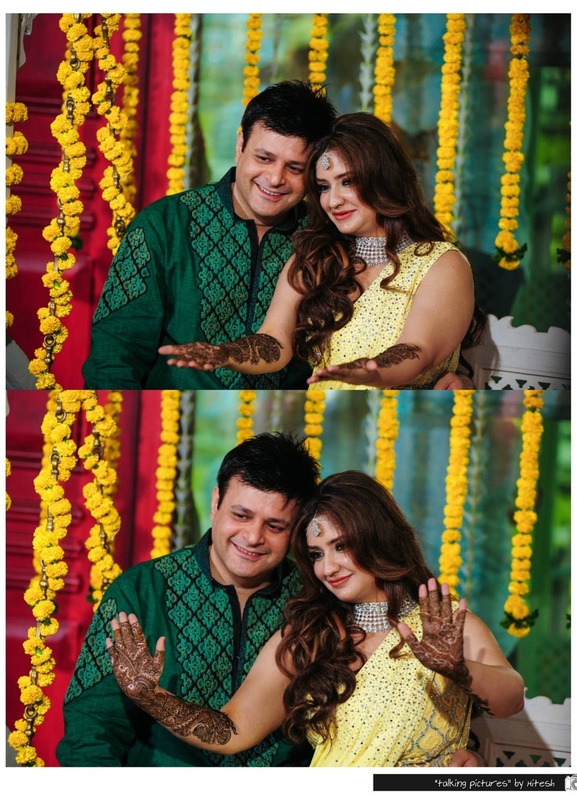 He perfectly shot every image at Jharna and Umesh’s union, right from the mehendi to the reception ceremony, making every moment timeless with his amazing captures. 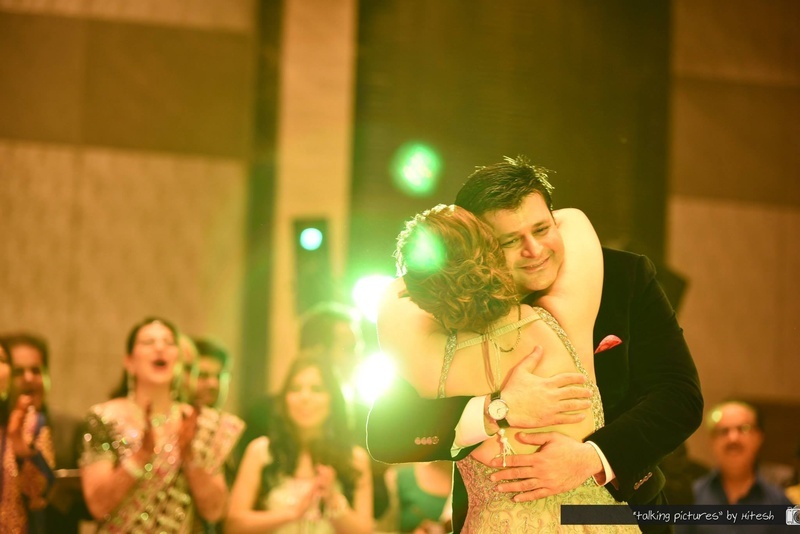 Embraces and warm hugs, love over loaded!